Question: How does this New Moon support the Heart? 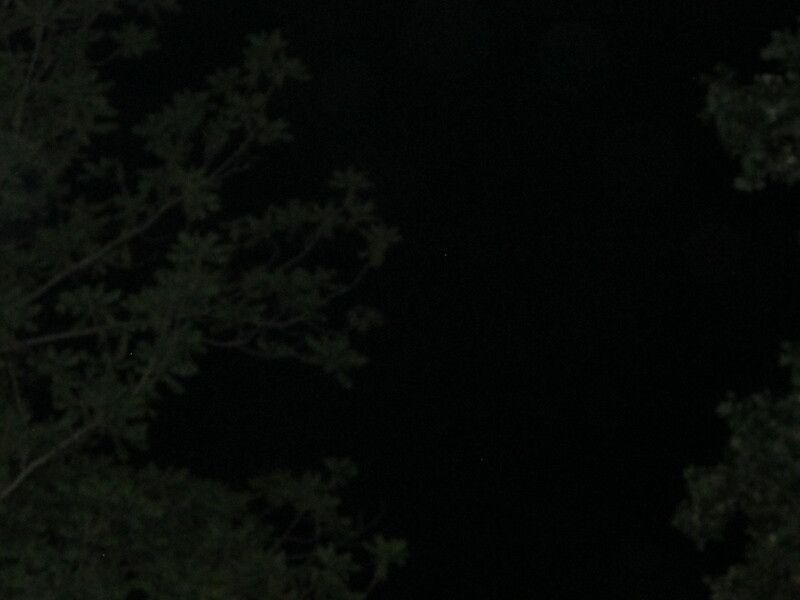 This New Moon, being a time of new efforts, supports taking a leap forward with great risk involved. In order to guide the Heart at the time of such risk, this New Moon also supports the Heart’s ability to be grounded in happiness that is constant and stable, and to be grounded in awareness of what has been left behind or outgrown. 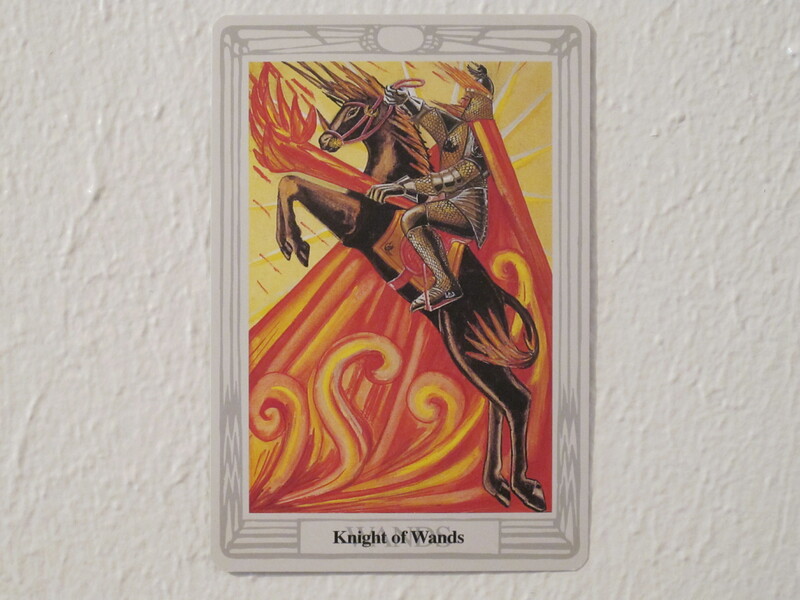 The Knight of Wands at the center of the spread shows a fiery burst of energy behind an armored knight on a horse rearing to go which relates to a strong will to go in a particular direction. The knight holds forth a fiery torch as well. However, in spite of all of this “go forward” imagery, the fire of the torch, and the hair of the knight and the horse are flying forward because of an explosion that is coming from behind them. Thus, not only are they moving forward on great impulse, but they are being compelled forth as well. There is so much energy moving in a single direction. Yet, as high-powered as this may be, the knight and horse may miss the target, pass it, fall short of it, or not even recognize it. So, in deciding whether this is a “good card” or “bad card,” keep in mind that the New Moon is supporting the wisdom of the Heart. The wise Heart not only has a strong impulse, but also tools to manage the energy of the impulse, which the New Moon is supporting. One such tool is simply in drawing attention to the Heart itself, where there is a constant sense of what makes happiness. 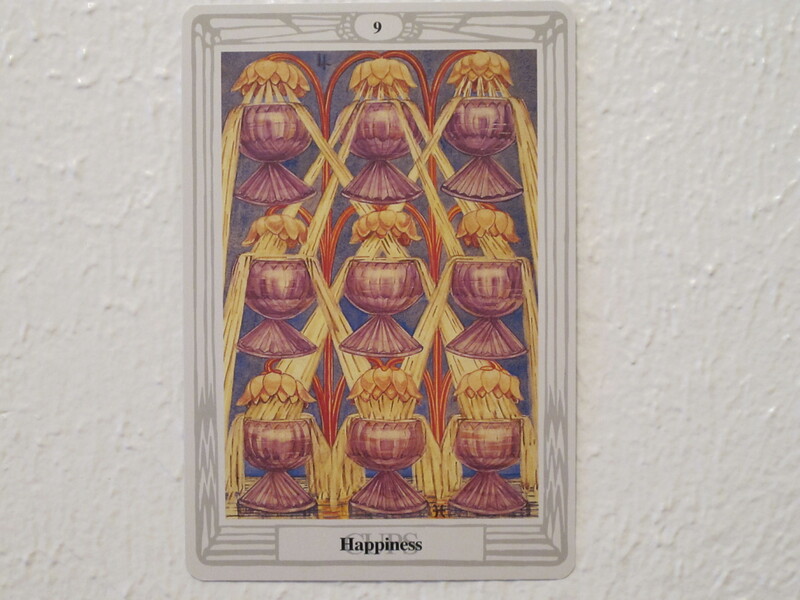 The 9 of Cups shows nine lotuses filling nine cups in neatly organized rows and columns. There is really nothing wasteful or off-balance here. The Heart, symbolized by each cup, is full and able to give generously but in appropriate moderation. Reflecting on what has always energized the Heart, made it happy in a stable way, and what has become a resource for sharing with others would inform the impulse shown in the Knight of Wands. Then, instead of being a wild impulse that runs out of fuel, the impulse would be a leap forward in a direction that the Heart has always cherished, and because of this alignment, any motion in that direction would be gainful, whether or not the ultimate target is reached. A second tool to manage the Heart’s strong will is in the processes of decay that have already been undertaken, as shown in Trump XIII. In this card, a skeleton is in the act of stirring up new life out of the decay at the bottom of the ocean where dead, putrefied fish lay. 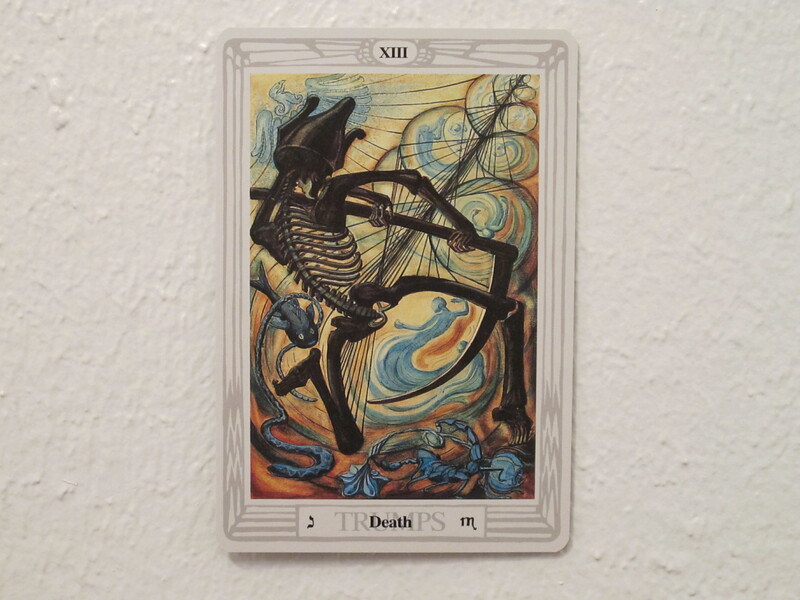 Wait, isn’t a skeleton a scary image of death that should send a chill of fear through the one who draws the card? NO. Here, there is triumph in the long awaited release of energy from old patterns and beliefs the Heart worked on hard enough to transform and release. The eagle rising over the skeleton’s headdress resembles the sense of stable, constant liberation seen in the 9 of Cups. In the context of this reading, the energy harvested from such deep inner work adds a steady fuel to the impulse the Heart may undertake. Additionally, it adds a sense of direction, in that the Heart would be wise to leave alone what has been put in the grave, and leap in a new direction . . . a direction of long awaited, long anticipated happiness. May the spirit of this New Moon and all personal guides and saviors be welcome. 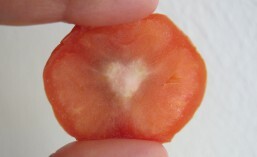 In this time of undertaking a risk, may the Heart be glad to go forward in a sacred direction. May it be protected from digging in the graveyard. May the Heart embrace new life and new beginnings courageously and fearlessly. May the Heart value any amount of progress that can be made. 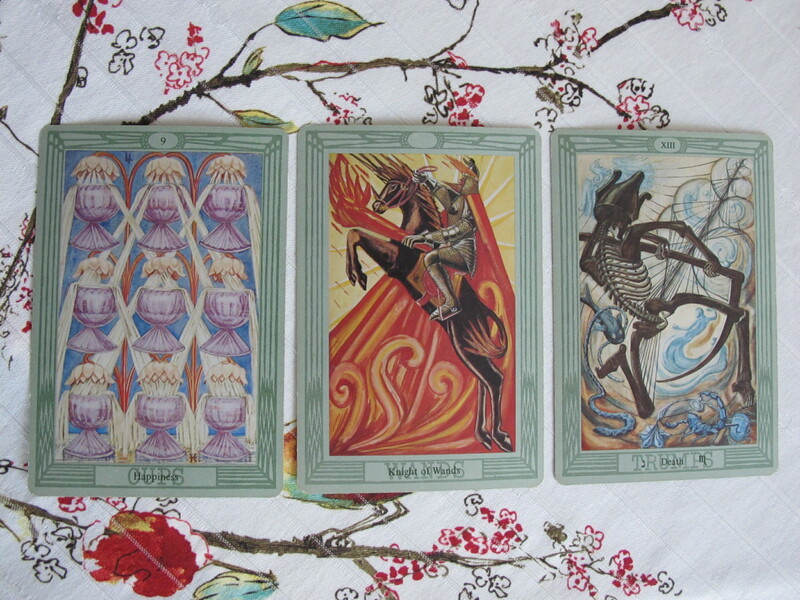 May unexpected support provide even more energy for the move forward. May it be so for you, dear reader. May it be so for me. May it be so for all beings we encounter, and those we love. This entry was posted in astrology, charlottesville, lunar cycle, new moon, ritual, spirituality, tarot and tagged astrology, charlottesville, lunar cycle, new moon, ritual, spirituality, Thoth Tarot. Bookmark the permalink.